If you want to see “Ballet to Broadway,” Grand Canyon University’s Spring Dance Concert, you’d better hurry to get your tickets. The Friday night show already has sold out, and tickets for the 7:30 p.m. Saturday performance at Ethington Theatre were selling briskly as of Thursday morning. Individual seats still will be available on show nights. Ballet to Broadway is the second consecutive College of Fine Arts and Production show to sell out. 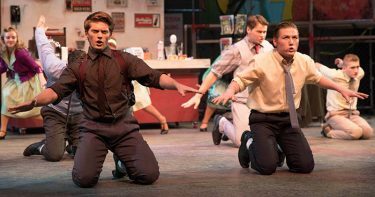 All six “West Side Story” performances sold out ahead of the March 31-April 9 run. “It’s not surprising,” said William Symington, COFAP assistant dean, noting that audience members have come to expect high quality shows at GCU and both the school and west Phoenix communities appreciate the arts. Tickets for “Ballet to Broadway,” GCU’s Spring Dance Concert, are selling fast. The dance concert promises to be exciting, surprising, dramatic and funny, said junior Tamrae Wright, stage manager. The concert will feature nearly 40 student dancers in 14 pieces that range from ballet and jazz to ragtime, swing and “very post-modern,” Wright said. Most are original works choreographed by faculty members, guest artists and in one instance, a student, she added. Two “West Side Story” musical numbers will be performed in Ballet to Broadway by GCU original cast members. The concert has twists and turns that will surprise you, GCU Dance Director Susannah Keita said in promotional materials. 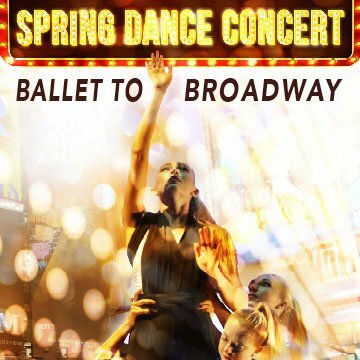 Spring Dance Concert: “Ballet to Broadway,” 7:30 p.m. Friday-Saturday, Ethington Theatre. Tickets here. 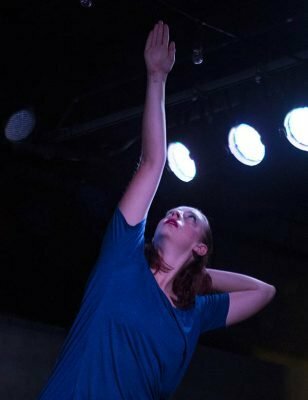 Tamrae Wright, Ballet to Broadway stage manager, performing “Beside Quiet Waters” in the Fall Student Spotlight Dance Concert. Which Playbill is this Anyway?